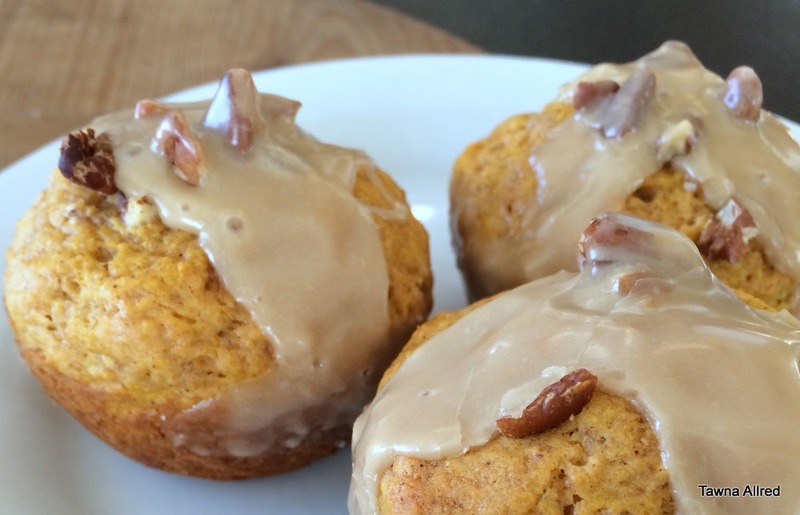 Is there anything better than hot pumpkin cakes and breads? 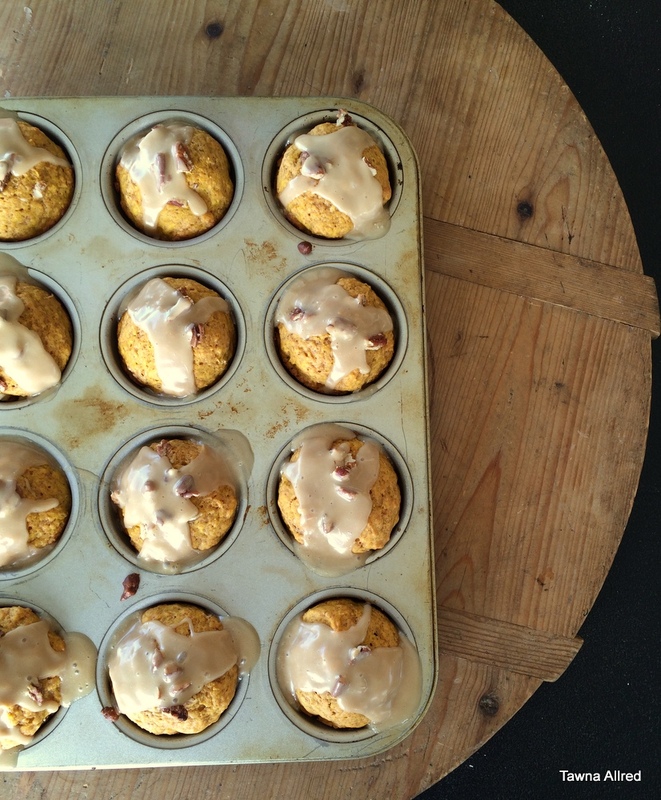 Today I’m sharing one of my favorite muffin recipes, complete with spicy pumpkin and sweet, sticky maple glaze. Whisk dry ingredients together in a medium mixing bowl. Combine wet ingredients in a small mixing bowl. Dump wet ingredients into dry ingredients and mix until just moistened. Put in greased or lined muffin tins. Press a few pecans into the top of each muffin. Place in a preheated 375 degree oven. Bake 15-18 minutes, or until a toothpick can be inserted into a muffin and come out clean. While the muffins are baking, make the glaze. Glaze is made by whisking the three ingredients in a small bowl. When the muffins are cooked, pull them from the oven and drizzle glaze over each one.